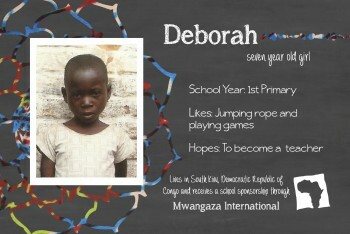 Deborah is 7 years old and lives in Kivu. She likes to play games and jump rope with her friends. One day she would really like to become a teacher. Please fill out the form below to make a $30 monthly donation to Deborah.